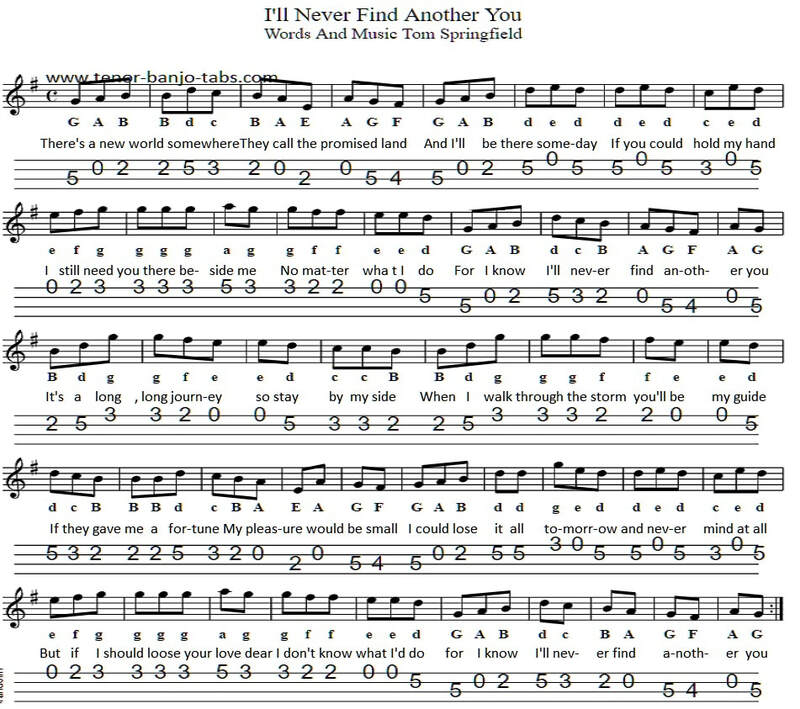 ​I'll Never Find Another You Sheet Music for mandolin and tenor banjo. Recorded by Australian folk group The Seekers. This is one of them songs when you don't quiet know if it's a pop song or folk ? As The Seekers were generally regarded as a folk group then that's what I'll call the song,,,but still, I'm not sure.